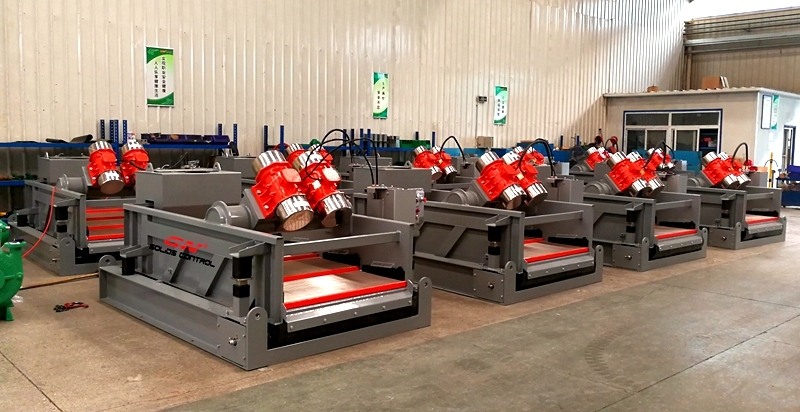 This week GN solids control shipped several sets of linear motion shale shakers to Russia, this is not the first order from this Russia client, they had orders huge qty equipments since last year. The linear motion shale shaker is the 4-panel screen shale shaker with screen dimension 585 x 1165mm, composite material frame pre-tensioned shaker screens. GN shaker screen with 3 layers stainless steel 304 ( or SS316l) wire mesh for all the screens finer than API60. The composite material screen can be anti-corrosion and anti-rust for over 5 years storage. The screens can be also used for Swaco Mongoose or Meerkat shale shaker if the clients have these model shale shakers. 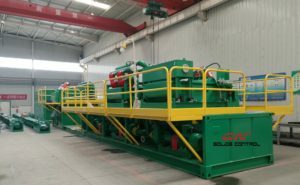 The linear motion shale shaker is more cost effective and common design all around the world, sometimes balanced elliptical motion or progressive elliptical motion shale shaker is required for some special drilling fluids. We have several options for vibration motors, normally we use Italy Oli brand vibrators, for special required explosion proof standard like IEC ex, ATEX, GN will use either Italy Oli or US martin for option. 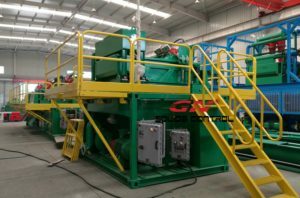 Except for linear motion shale shaker, GN solids control also sold a lot of linear motion mud cleaner with the same bottom shaker model, high speed decanter centrifuge, high G force vertical cuttings dryer to Russia, thousands of shaker screens are sold monthly for US brand shale shaker and Chinese brand shale shakers. When using the linear motion shale shaker for oil based drilling mud, the operator can use different API mesh size to reach the drilling requirement which is different with water based drilling mud. We also have high G force drying shaker for drilling waste management, the G force up to 8.0 G, with hopper feeder instead of weir feeder. If you need solids control equipments, pls contact with GN solids control.